With daily media attention on high-profile sexual harassment cases and New York’s new anti-harassment mandates scheduled to go into effect in October, I thought it would be a good time to post a few more words from my perspective – as it pertains to harassment in restaurants and private clubs. Let me start with saying that restaurant and private club work can be exciting and fun (I was a bartender in the 70s on Block Island, RI) … but it can also be less than glamorous when patrons, managers or fellow workers are harassing or discriminatory. And because restaurant and private club workers are often groomed to provide an “experience”, they may not be prepared to respond effectively when harassment happens. Instead, restaurant workers are more likely to shrug it off, rather than dealing with the situation immediately and effectively. Restaurant and private club dynamics can also contribute to the problem, as an atmosphere of alcohol and fun can lead to men behaving like a boozy Don Draper in Mad Men. The right preventative measure for restaurants and private clubs is to have a formal harassment policy – with annual mandatory training to help employees and managers recognize harassment – and be prepared to handle harassment situations quickly and resolutely. The policy should be documented in writing and be included in the employee handbook. Once the policy is in place, it must be consistently communicated and enforced – including the protocol for employees to follow when faced with harassment. A “safe” workplace means more than safe from harassers – it also means safe to communicate a concern to management without fear of reprisal. Restaurants … you owe this to your workers! Give them the tools and training to handle these situations effectively, without fearing for their job, thinking that they will be ostracized, or be cast as a killjoy at your company. I know, protect who??? Listen, many men don’t know any better. Harassing women might have been part of their family culture for generations. We need to teach them. They are good people but need a slap on the head. Or … a detailed introduction to your anti-harassment policy, annual training so they don’t forget or backslide, and they need to know in no uncertain terms what will happen if they are found guilty of harassment. Your policy should be posted for all to see, employees and patrons alike, as a reminder that they are in a harassment-free zone. Also, in the event the restaurant or private club is sued by the harassed worker, it is important to be able to document that you have a formal written policy, regularly scheduled anti-harassment training, and complaint-handling protocols – and be able to prove the policy is well communicated and understood by all employees and managers – and strictly enforced. It is an understatement that the restaurant owner or private club general manager is responsible for ensuring the safety of the staff, so if an employee reports an occurrence of inappropriate behavior – and then that complaint is presented to management, and a manager says something like “Oh well, Steve was just being Steve – and everybody knows he didn’t mean to offend.” Everybody in the organization needs to know that that is not an acceptable response to the situation. 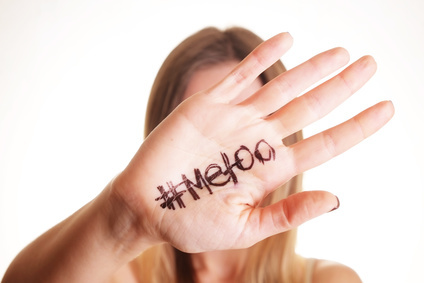 Growing up in the 60’s and 70’s and being part of the culture where men like Don Draper were given a wink – and largely admired (by men), I now know that this behavior is bad, and it is no doubt time to teach your employees to behave properly – and protect themselves and others from harassment and discrimination.